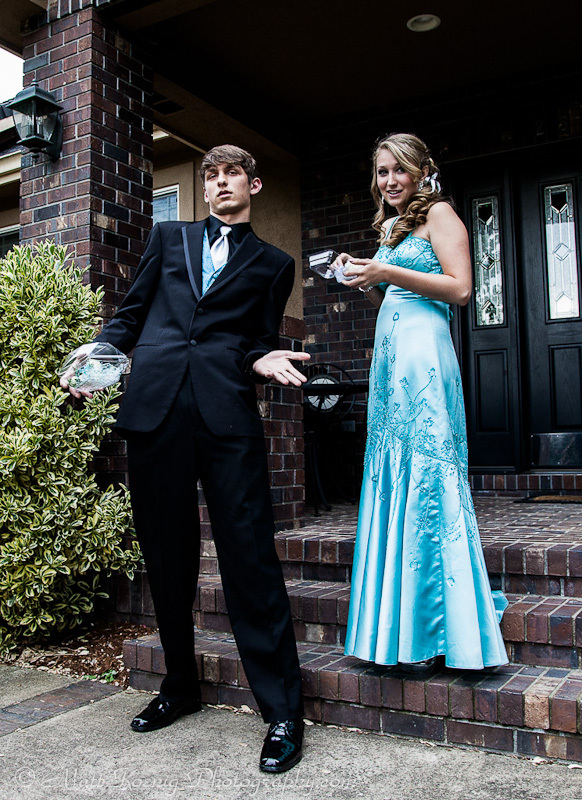 A couple of weekends ago I received a text message from my sister asking if I was available to shoot some photos of my nephew Brenten and his prom date Macy. Of course I received the text a few hours before prom so I didn’t really have any time to plan out a shoot but of course I said yes to the shoot. 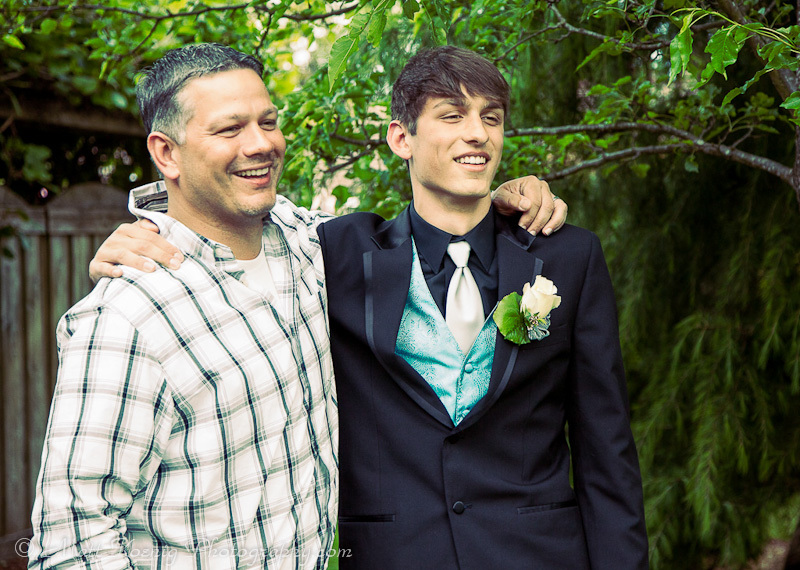 It’s family and shooting photos is what I do. I quickly went through my usual mental checklist of items: batteries charged, memory cards formatted, select the right lenses to take. I’ve lost count the number of times I’ve forgotten to charge batteries or throw some spare memory cards in the camera bag so now I always go through my checklist. 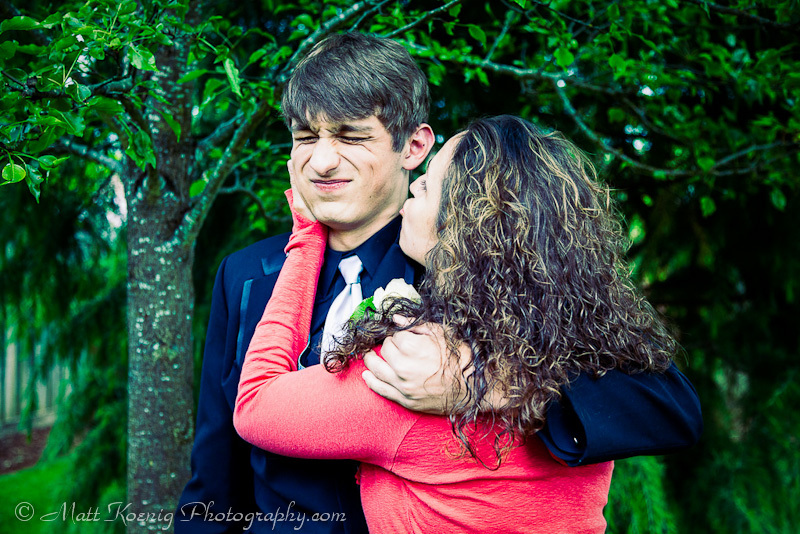 Since I was totally unprepared regarding the photos were going to be taken I decided to really cover my bases. I packed my Canon 5D Mark II and Canon 7D camera bodies. On the 5D Mark II used the Canon 24-105 f/4L IS lens and on the Canon 7D I was rocked the Canon 70-200 f/2.8 II IS. I had also packed my Canon 580EXII speedlight along with my King Pixel flash triggers and a softbox. We ended up shooting all outdoors and with the nice natural light I didn’t end up needing additional flash lighting. 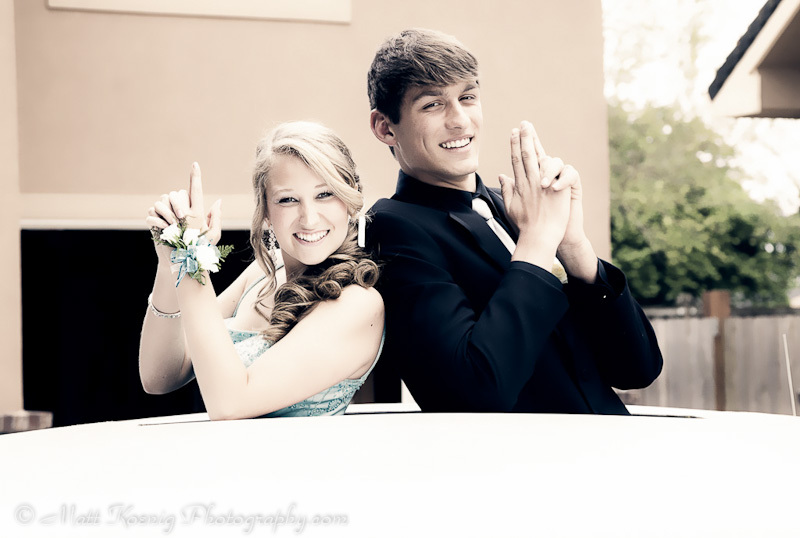 Brenten and Macy were such a fun couple to shoot. I never knew my nephew was such a ham for the camera. 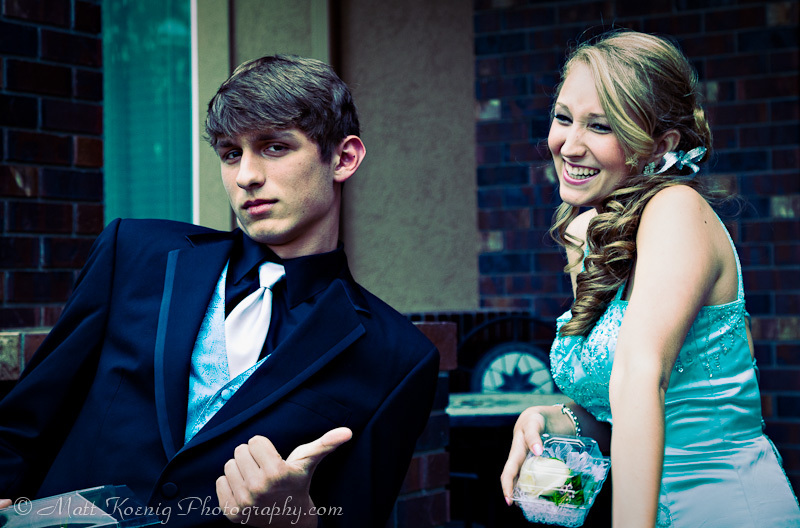 They loved the crazy and energetic poses and I really enjoyed photographing them. Below are a few of my favorite images. 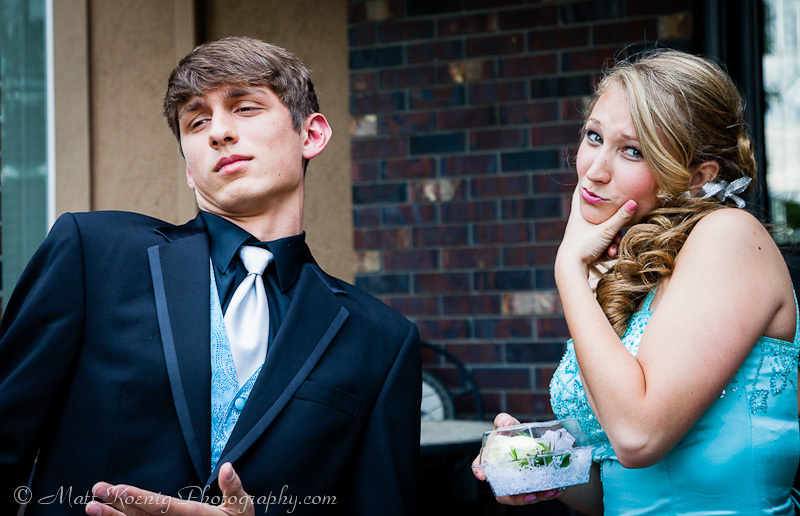 These two could really ham it up for the camera. 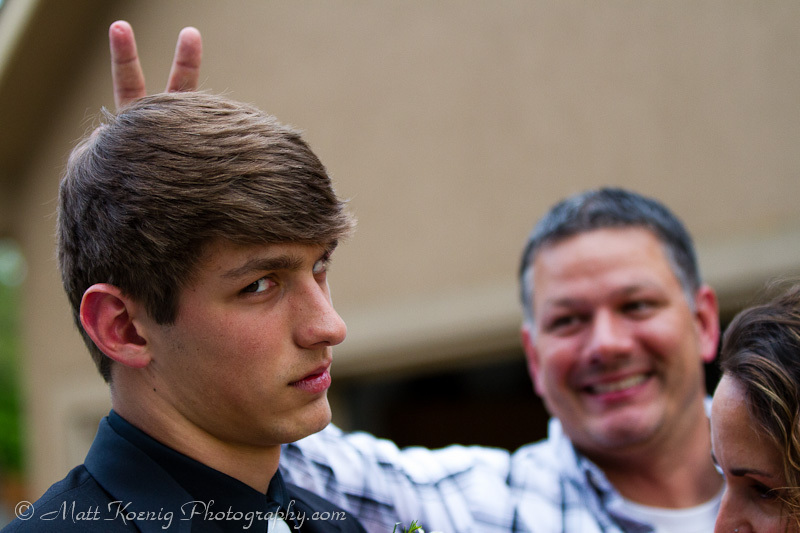 No prom photos are complete without the Dad giving the son classic rabbit ears photo. 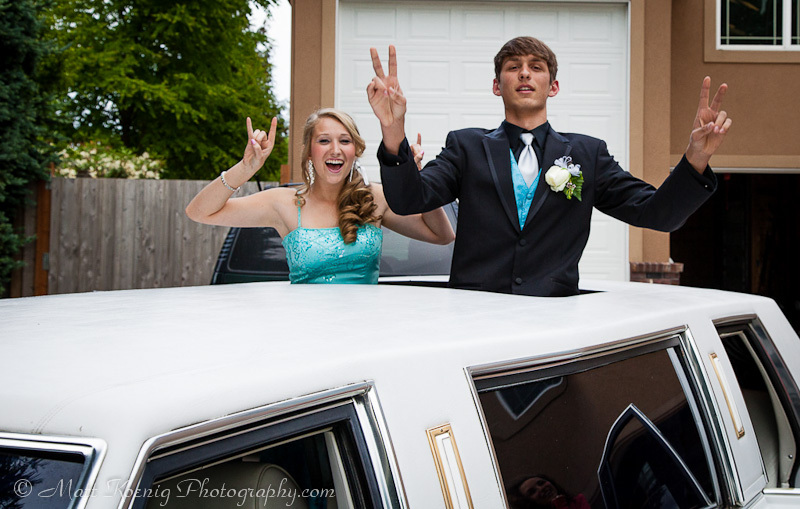 The group they were going to prom with has a Limo. It made for the perfect prop especially when they stood up through the sunroof. These were some of my favorite photos of the shoot. Probably my favorite of the day. I was pretty pleased with how these images came out. 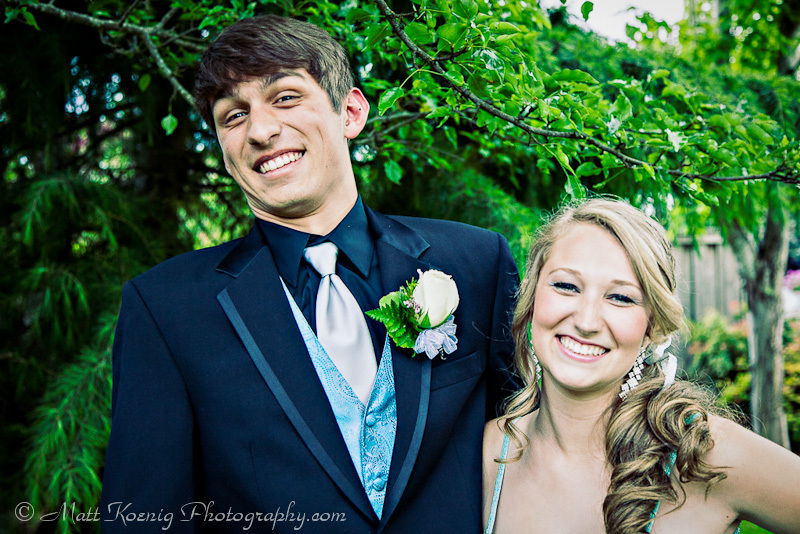 Of course it always feels easy when you have such fun people to photograph. I was so glad that I was available to spend this time with my nephew and capture some memories that he and Macy will have forever. And I think for me that is the biggest part of photography. Sure I love to geek out on the technology as much as the next person but technology can only take you so far. At some point you have to live in the moment, enjoy being with people, get to know them and ultimately this will result in more dynamic and meaningful images. You can see more images from this shoot in my Flickr gallery. Your nephew looks like so much fun, they must love these photos. So much more interesting than typical shots people take. Thanks Ayngelina! My nephew is a great kid. I couldn’t have made these photos without the two of them being so much fun. Thanks Tristan! These were fun to do and have been well received. Cheers!